As the weather cools, your home faces different challenges brought on by cold temperatures and increased precipitation. Taking a proactive role in home protection will save you money and time by preventing expensive complications brought by autumn before they happen. With the first day of fall just around the corner, use these tips to protect your home against common problems caused by the changing seasons. Don't wait until the first cold night of the season to discover that your heating system is not in working condition. Checking your heater at the end of summer is critical to preserving the comfort of your home. Replace filters to make sure that the system is running efficiently and wipe off any dust that has accumulated on the vents or coils. If you have a furnace or fireplace, make sure that you give those a once-over as well. Don't hesitate to hire a professional if you aren't comfortable doing the check yourself. With rain and snow on the horizon, it's time to give your roof a good inspection. Leaks are much easier to fix before your roof is covered in slippery sleet, so get a head start by checking it now to head off problems. 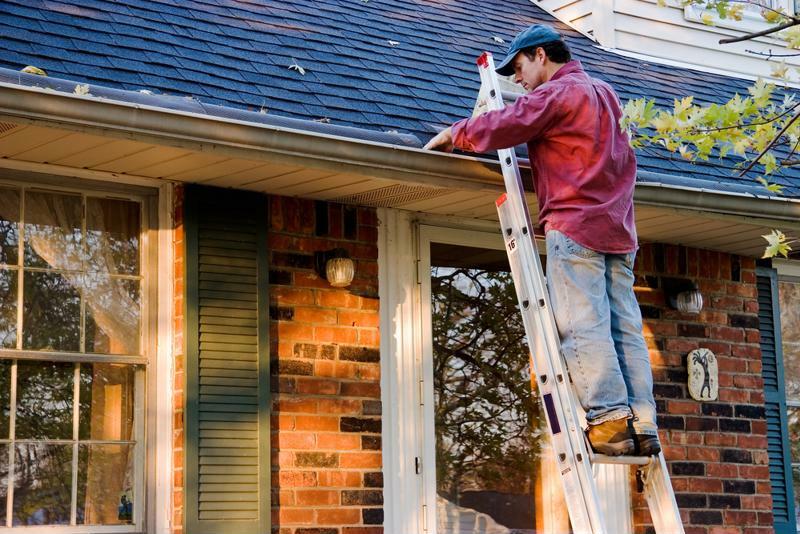 Better Homes and Gardens magazine recommended specifically looking for damaged, curled or missing shingles, as well as damage to areas around chimneys or vents. While you're on the roof, you should additionally take the time to clear out the rain gutters. Leaves, dirt and other debris that may have collected during the summer could cause clogs, leading to flooding during the first few heavy rain storms of the fall. The overflow can seep into your home, causing expensive water damage. Clear your gutters before the rain begins to avoid water leaking into your home. As the weather cools, it's important to make sure that your warm air stays inside and the cold air can't get in. The U.S. Department of Energy reported that air leaks will make your heating system work harder, increasing your energy bill. You can use caulk to seal cracks around stationary objects, like door frames, and weatherstripping around things that move, like the door itself. Windows are also areas where cracks are common, so make sure to check that the seals are tight to prevent the loss of hot air. Along with cooler temperatures, fall also brings earlier darkness every day, which means that you'll rely increasingly more on artificial lights both inside and outside your home. Even with this increased use, there are still many ways to save on electricity. For example, using energy efficient bulbs in your home's interior will help cut down on the amount of energy that your lights use. For the exterior of your house, consider investing in lighting that uses solar energy. The Department of Energy additionally recommended using lights that have motion sensors and automatic daylight shut-offs as ways to save energy. While prepping your house for the fall is a great way to protect your home, it's no replacement for a quality home warranty. With TotalProtect, home protection is our priority. Our policies cover the normal wear and tear of your appliances, so when a problem arises you don't have to struggle through repairs. We'll send out one of our pre-screened technicians to fix your appliance as soon as possible.